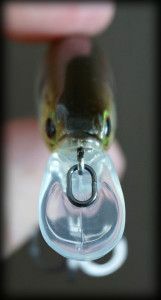 If you are not familiar with chatterbaits, you ought to be; especially if you are a bass angler! Z-Man Fishing is the producer of the “original” chatterbait. They are, in many ways, the company that is responsible for the popularity of this noisy little jig. That’s why we just had to bring you a Z Man Project Z chatterbait product review! Demanding anglers starting asking for some refinements; and Z-Man set out to re-design the original chatterbait to address anglers’ concerns. 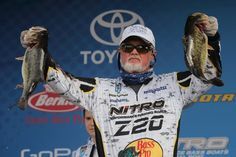 It was through Z-Man’s collaboration with anglers that Project Z was born. Members of our Contributor team are avid original chatterbait users. When we found out about the new Project Z chatterbaits, we immediately contacted Z-Man and asked for access to these baits. Here are some of our unbiased thoughts on the re-designed chatterbait, starting with the specifications and product claims. The redesign of the quick clip attachment was a welcome sight! Here you can also get a good look at the new streamlined head shape. Of all the new Project Z Chatterbait features, the biggest improvement that our team noted was the super strong quick clip attachment. This is much stronger than the older original chatterbait design and won’t open or get deformed after several fish catches. This is a significant improvement! 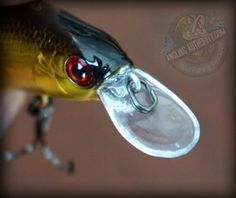 With the quick clip attachment you can quickly switch baits if needed. We simply tied right on to the clip, and since it is a closed loop design, there was no danger of having our knot come off. Double keeper barbs and an enlarged skirt collar made sure we didn’t have to fiddle with the bait between casts. We also liked the new enlarged skirt collar, along with the double-keeper jighead barbs to keep everything neatly in place during fishing. While using this new design, we didn’t need to use any glue or helpers to keep everything in place. This meant more time fishing and allowed us to focus on catching more fish! With the original Chatterbaits, we used to wrap braid around the skirt to hold it in place and prevent slippage. 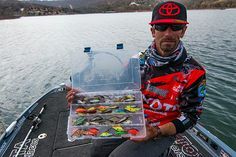 “The new design allows anglers to focus on whats important and not worry about things that can distract them, or take away from their fishing” mentioned Jeremy Schneider, AnglingAuthority.com Contributor. The Project Z Chatterbait comes in four sizes: 3/8, 1/2, 3/4 and 1-oz. Depending on the size, the price varies from $7.99- $8.99 USD. As far as bladed swimjigs go, the Project Z Chatterbait is not the cheapest. 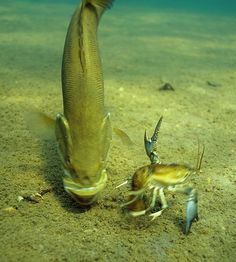 However, I feel that you are getting a refined bait that has all the features anglers can want. You can pick up the Project Z Chatterbait online, or at most tackle shops. Can’t find them locally? 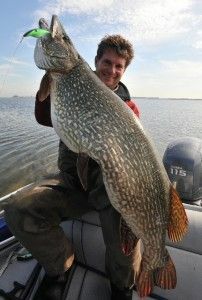 You can easily order them directly from Z Man fishing by clicking here and visiting their site. The “Breaking Bream” color pattern got us some giants during testing. Since we use chatterbaits to target bass hiding out in cover, we opted to test these baits using a 7’4″ heavy power rod with a fast action tip. We used a fast reel (Abu Garcia STX 7:1 gear ratio) that was spooled up with 50-lb braid tied directly to the quick clip. The Project Z Chatterbait easily fished through cover and any weeds that hung up were easy to get off the lure with a quick pop of the wrist. We found that the trailer keeper did its job well and the skirt stayed in place. There was no messing around between casts with this bait! We used the Diesel Minnow as a trailer for the Project Z Chatterbait among others. Z Man recommends keeping your plastics in their original packaging to prevent warping from heat and this worked during our testing. Unfortunately, plastics that were tied on and left in rod lockers under the sun for days did not fare as well. By reading through this review you can tell that our team enjoyed reviewing this bait. It has been refined in a thoughtful way and the changes Z Man made to the bait reflect that; kudos to ZMan! The project Z chatterbait is a refinement on a great fish catching bait. It has upgrades that anglers have been asking for and delivers! Great review on the Chatterbait Lure.